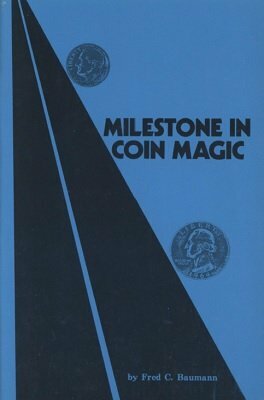 This ebook brings the art of sleeving into reality, and combined with his new approaches to old sleights and many sleights, which have never appeared in print, make this treatise on coin magic one every magician should have in his library. Fred Baumann, who through Tannen's Stars of Magic series has released his "Metalogic," Magic Spoon Bending, which has already become a classic. This was followed soon after by his "Magician's Dream," an unbelievable coin vanish. This ebook imparts his many new ideas and routines of all practical magic on coin assemblies, vanishes and productions. Also in this ebook is just about the best copper-silver transposition ever to appear in print. 1st edition 1981; 1st digital edition 2016, 66 pages.